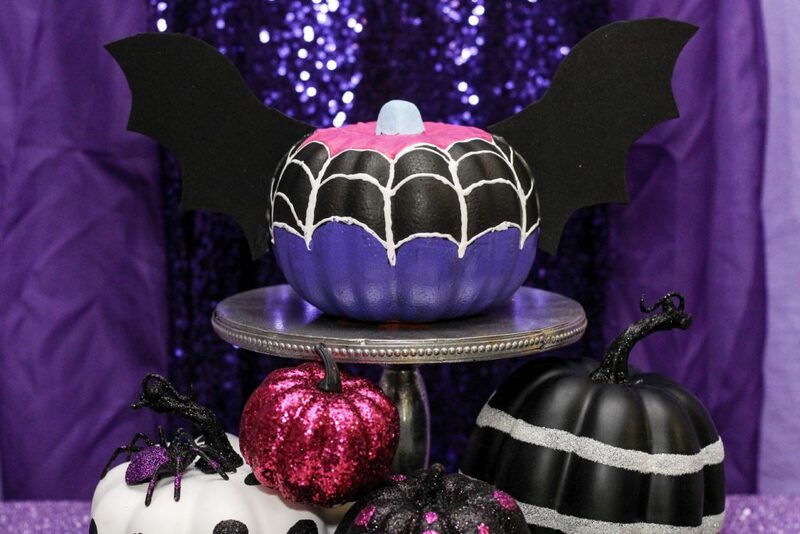 We recently had a fabulous Vampirina party and the focal point of our food table was a Vampirina Pumpkin. I made this with a foam orange pumpkin from the Dollar Tree. I started by painting the whole pumpkin black, acrylic paint worked great! I used puffy white paint for the spider web design. Once dry, I added pink above and purple below to bring the Vampirina colors. I added blue to the stem like her tee shirt. Lastly, I cut the bat wings from black craft foam and then hotglued them on to the sides of the pumpkin. 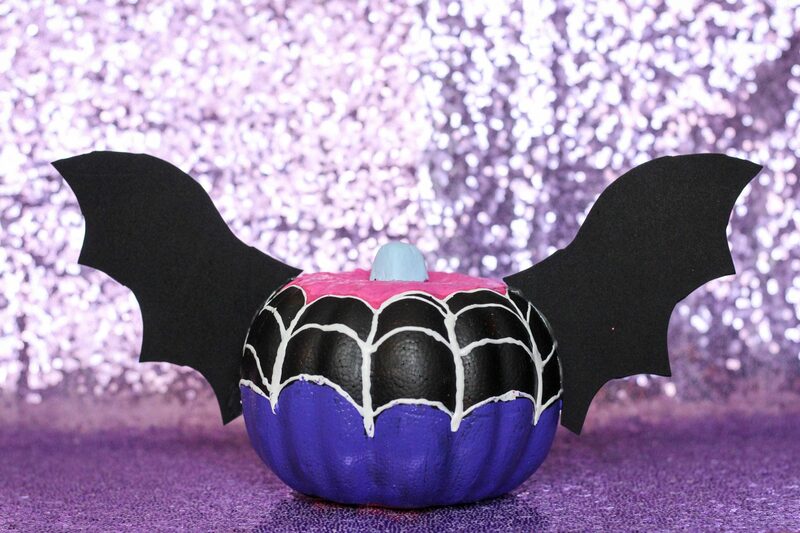 This Vampirina Pumpkin was fun and easy to make. If your little one loves Vampirina, give it a try this Halloween!